Open Water is your first giant stride into the underwater world. 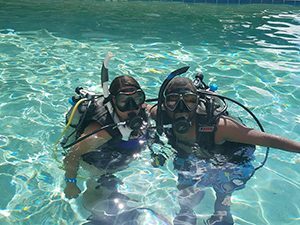 Get your Open Water certification from a PADI 5-Star Dive Center and family-run business that prides itself on safe, high-quality instruction with small-size classes. 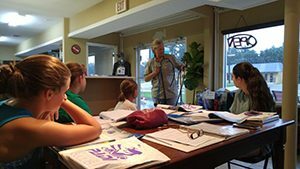 Adventure Outfitters’ classes are always small – only one to six students. For your Open Water certification, there are two options for your independent study before the course. You can either choose E-Learning to accomplish your independent study on your own schedule (no classroom session is necessary). Once you have paid for your course, we will email you a PADI e-Learning code for your online registration; or you can choose the Study Materials and Classroom Session. You will receive study materials once you have paid the deposit for your course. Please read the chapters and complete the knowledge reviews for each chapter prior to attending a classroom session that will be scheduled prior to your confined or pool session. Adventure Outfitters typically uses its own conveniently-located pool or private pools, making it easy to schedule your pool session on your time. This allows us to review and practice skills in a calm environment without having to dive around others. Since we only have private and semi-private lessons, this is usually accomplished to approximately four to five hours, depending on the student. Over the course of two days, we will venture to two different dive sites for your four open water dives. Typically, we try to go to a freshwater spring or lake and a salt water or a Gulf dive on the second day. This allows the experience of both fresh and salt water with different types of diving sites the Tampa area has to offer. We have a little more flexibility with Private and Semi-Private classes. Group classes are held monthly and can be accessed by the shop or by looking at our Events Calendar. To help our students continue their diving education, we offer a discounted rate for taking the Enriched air / Nitrox course within one month of their Open Water course. As the most popular specialty class, Enriched Air / Nitrox paired with an Open Water course includes study materials for FREE! This specialty is perfect for upcoming dive trips. To learn more, visit our Enriched Air Course page. All rental scuba equipment during the entire course – regulator, BCD, tank, weights, dive computer, compass, wetsuit…etc. Adventure Outfitters is proud to dive and instruct students from all over the globe – from Sweden, to Canada, to Wisconsin to Oregon and even North Florida! We look forward to meeting divers from all over the world and offer a referral program to student divers looking to complete your open water dives. Bring all of your referral paperwork, student record file and logbook with you and we will take care of the rest. Let us know if you are bringing your personal gear – mask, snorkel, fins and boots. We will need to inspect them for safety and fit prior to entering the water. If you aren’t bringing any personal gear due to travel constraints, we will make sure that we have the appropriate, properly fitting for you. If you must rent personal gear, this will be in addition to the Open Water rental fee but at a great discount. Florida has a variety of wonderful dive sites but keep in mind that some driving or travel may be required. We try our best to accommodate you with convenient dive sites. However, we are beholden to the weather, dive conditions and geographical constraints. Let us know where you are staying, what airport you are coming from/going to and we will do our best to accommodate you. We only teach private and semi-private lessons and therefore, you will have a lot of personal attention and plenty of time to practice your skills and to dive! We encourage family members and friends who dive to join us during your last dive. You should definitely dive with future dive buddies! Dive buddies can tag along but are not to interfere with the course. 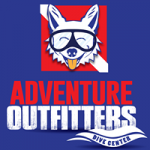 Dive buddies are part of Adventure Outfitter’s student count / insurance and that is why we require a $50 charge to join in. Rental gear is available. Remember, you have one year to complete your certification from the time you start your e-learning or classroom session.